A few fun ideas to make your home unique. We are proud to have our work shown in these Fine Art Galleries. The wonderful owners and the staff they assemble are helpful, knowledgable, and provide the excellent customer service necessary to help you add our art to your collection. The Gordon Familly has been showing our work for over ten years, and has a wonderful selection of original work, bronze and prints. Stop by when you are visiting the beautiful Kohala Coast of the Big Island and check out the new creations. 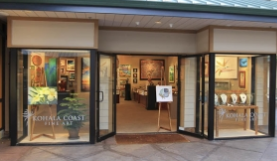 The Kona Oceanfront Gallery in downtown Kona has been showing Alex's work for three years now. Stop by and visit to meet the warm staff and view the latest art. 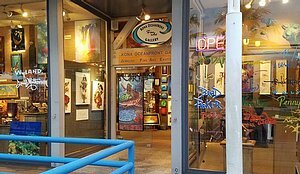 We are so happy to be part of downtown Kona's premier location and best art gallery! Bill Wyland has opened Front Street's newest and best new gallery with a fantastic staff and some of the best art available in Hawaii today. This elegant, yet relaxed, gallery is a feast for the senses and not to be missed! 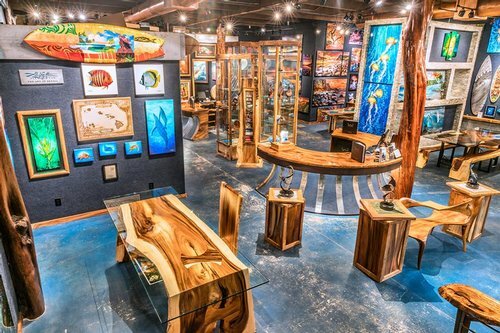 This amazing gallery is located right in Old Haleiwa town on Oahu's famous North Shore. Bill and Brian Wyland have outdone themselves in creating one of the most beatiful places to view and collect artwork in the state. Don't miss this gallery!